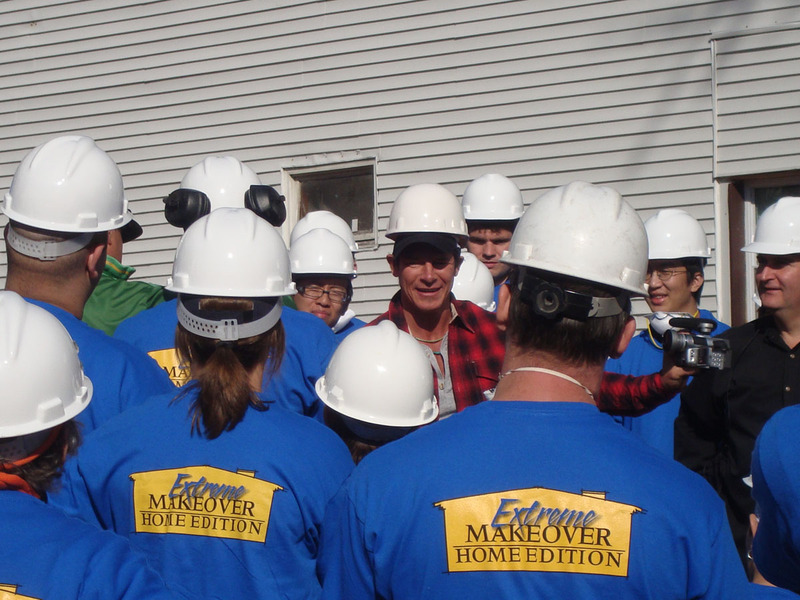 In November of 2009 Buffalo was part of a record breaking act of public service, ABC TV’s Extreme Makeover: Home Edition. 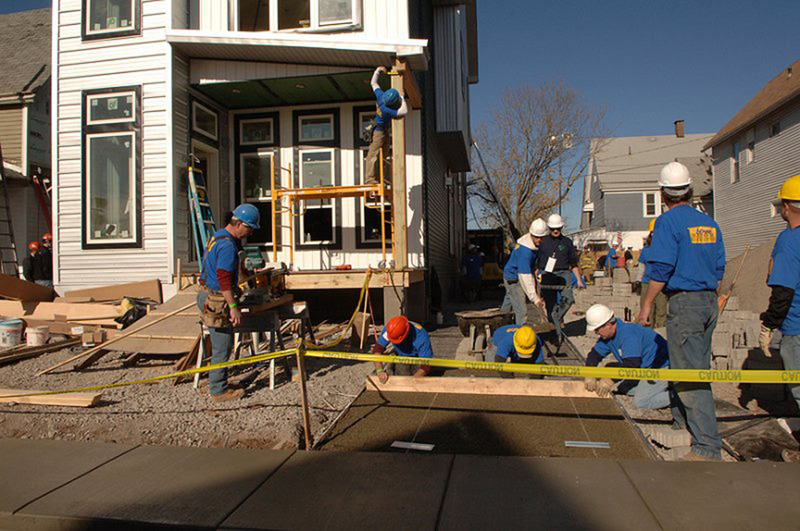 The premise of the Extreme Makeover show is to support a family by completely renovating their home in an Dzextremedz way, often to support specific family needs. ABC selected the home of Delores Powell and her family, and the Buffalo community got to work in the same way local teams create every Extreme Makeover Home, with one week to design and mobilize and one week to construct. 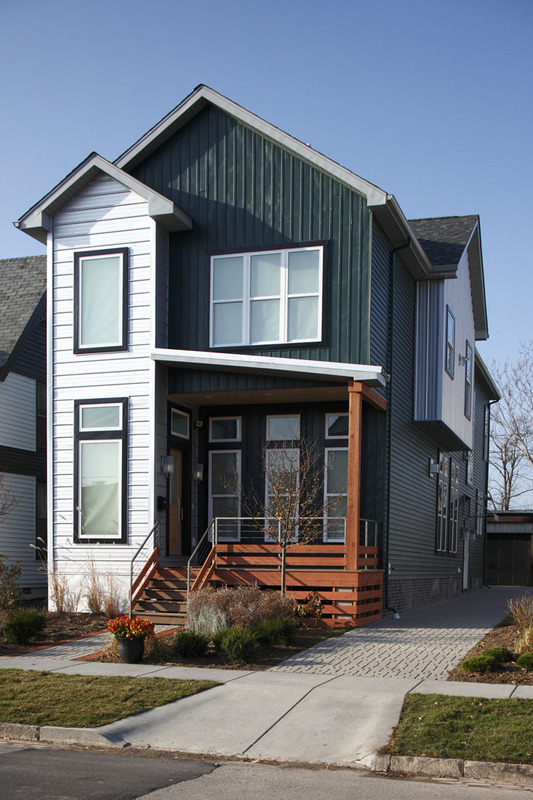 The vision for the project was to create a highly efficient and sustainable home in an existing urban neighborhood, a home that could be reach the highest level of sustainability, the Emerald level, awarded by the National Association of Home Builders. As landscape architects, we were asked to join the local design team and in particular to ensure that the very small site could also reach the National Association of Home Builders’ requirements. Once the project got going, a new story started to emerge, a story that is the living embodiment of why we are known as the City of Good Neighbors. The buffalo community rallied around the idea of creating a new home for the Powell family, but it also rallied around the entire Wes t Side neighborhood. 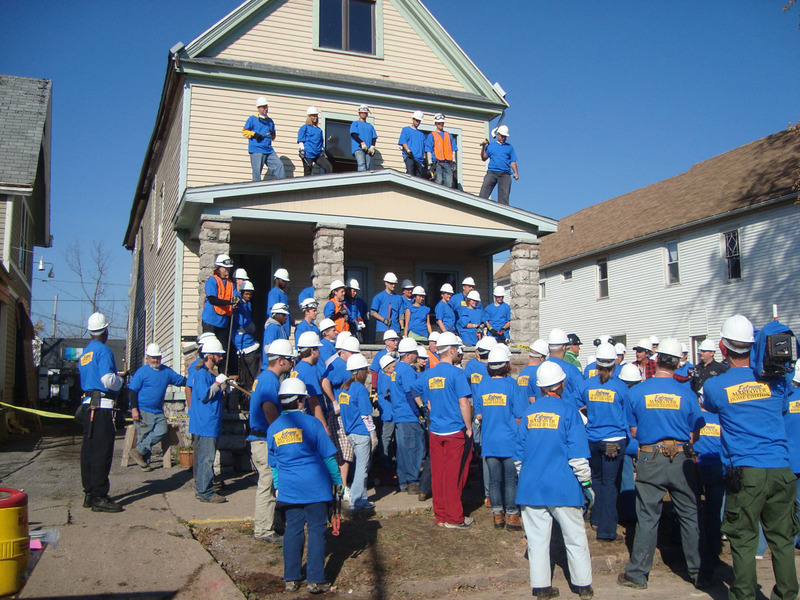 Volunteers came out in record numbers, suppliers committed materials and tradespeople in excess of what could ever be used at one home. The solution; continue making impacts throughout the neighborhood. 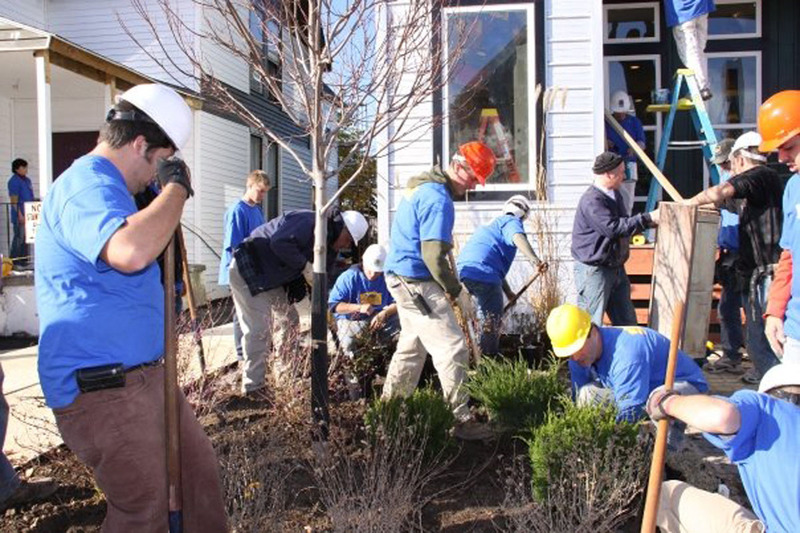 Over the course of the week, more than 6,300 people spent 53,544 hours fixing homes dozens of homes throughout the neighborhood, landscaping properties, planting trees, building community gardens and performing other tasks. The impact this incredible project made on the neighborhood fabric of a West Side neighborhood was unique and exciting, and inspired ABC to create their first ever two-hour special capturing this incredible story. Our story of course, focused on how we would reach the lofty sustainability goals with less than 3,000 square feet of site. Unlike LEED, which has an accumulative credit point system, in order for a project to be granted the designation of Emerald, each project credit category needs to meet the minimum threshold of credits for the level to be reached. With a particularly small urban site, we knew this would be a challenge. The following are some of the ways we reached the Emerald designation. Because the majority of the site was the home and the remaining was to be driveway, we needed to be creative with how we looked at hard surfaces. 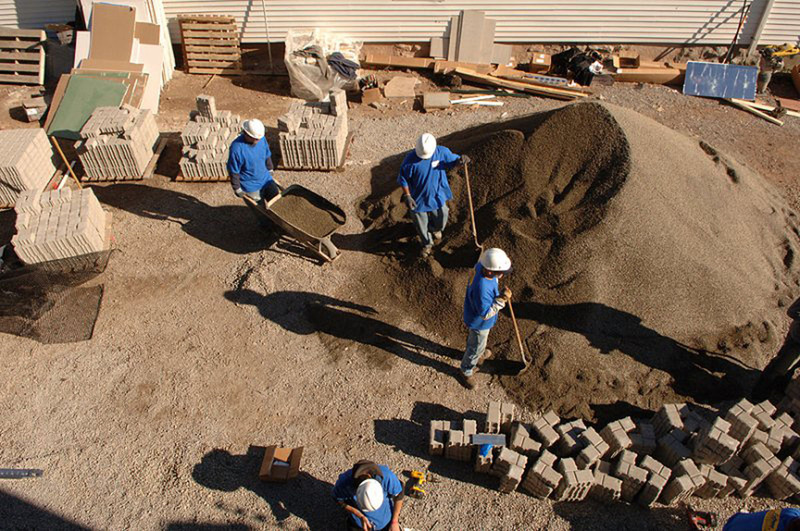 Permeable pavers allowed the 1100 sf driveway to become an enormous stormwater management system. We were fortunate to have an existing garage with a flat roof, and felt it was an ideal opportunity for a green roof. Ironically, we received no points toward the Emerald status for the green roof, because the overall square footage of green roof did not meet the minimum necessary. When designing a sustainable home and landscape, however, the team felt it was the right thing to do. The primary use for green roofs in much of the north east is their role in stormwater management. Additionally their use also reduces the heat island effect, promotes habitat diversity in urban areas, and significantly prolongs the life of the roof below. 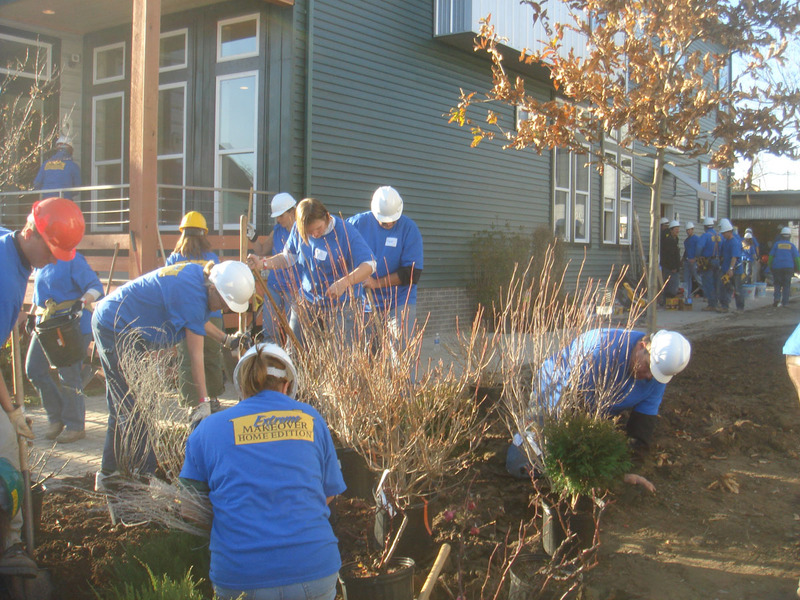 Rebuilding the neighborhood soil was an important way of achieving Emerald designation and an important way landscape architecture contributes to environmental health. In 2006 Buffalo faced one of the worst ecological disasters in its history; an unprecedented snow storm in October. This storm destroyed more of Buffalo and Western NY’s tree canopy in one night, than all the human or natural impacts combined, during the previous 50 years. The one fortunate by product of that devastation was incredibly beautiful compost. By combining the storm compost, microzial amendments and what little topsoil we had, we were able to create a healthy and improved soil for planting that maximized credit points. Native and non-native but appropriate plants were selected for the site’s microclimate and for their low water consumption properties. Turf was eliminated from the home’s property and a large native maple tree was planted to shade the home’s southern exposure. Possibly our biggest challenge was finding all these plants locally in November, in order to showcase the house with a lush and full planting for the TV audience. The job site was not like any other job site you have seen. We often likened it to an ant colony with heavy equipment. 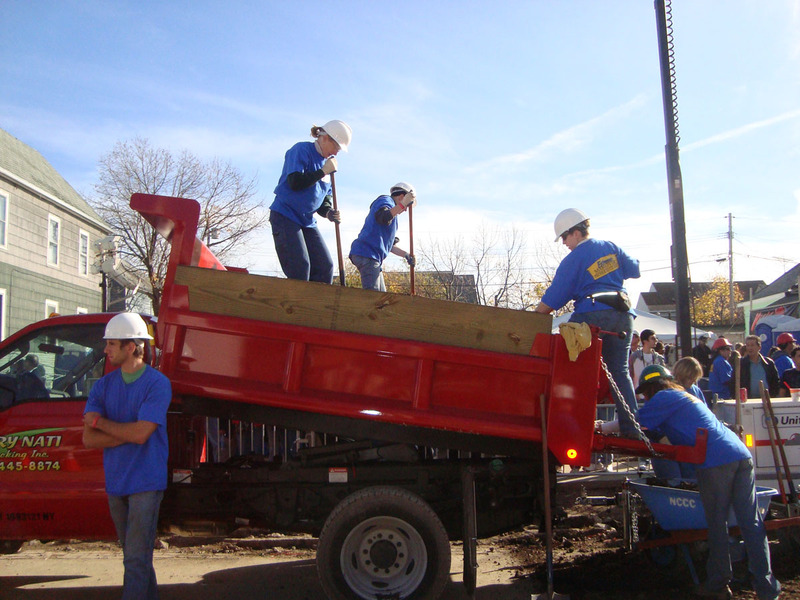 As the design leaders, it was our job to find and enlist volunteers as well as all the materials and skilled labor needed for the project. We managed delivery of materials, as well as all the logistics of getting the project built in the midst of 1,000 other people also charged with getting their project built. Despite the seeming chaos, courtesy was what held the project together. We all had the same goal and the same intention to create something amazing from nothing, and to do it for one of our own, for the whole world to see.